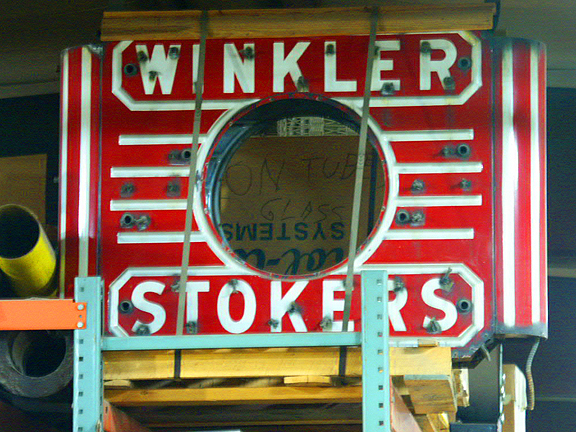 description: A deco style double sided neon sign for Winkler Stokers. Featuring openings that once held neon illuminated clocks and bull nose edging on both ends of the sign. information: A dealership sign for Winkler Stokers. Winkler produced stokers for coal fired boilers. The plant was located in Lebanon, Indiana, and the company manufactured artillery shells during WWII. Now defunct because stokers are no longer necessary.